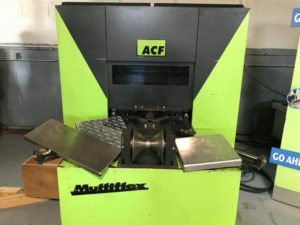 Pre-Owned ACF Multiflex MF25 Cornerformer – International Technologies, Inc.
ACF Cornerformer new in 2002. Genuine ACF cornerformers are rare on the used market. 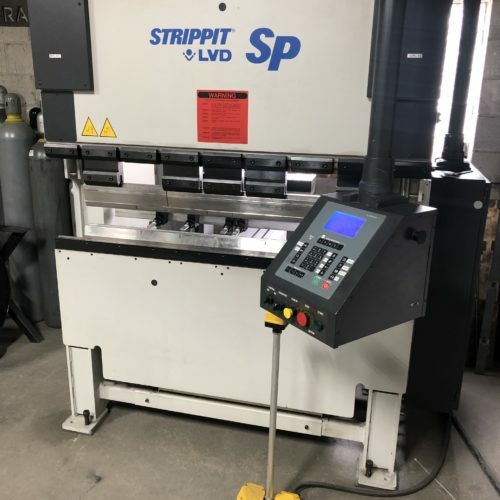 This machine is ready to ship. Additional tooling and die machining services available to match your application. Cycle time/corner: approx. 14 sec. (including 4 sec handling time based on part size of approx. 20”x20”). Cycle time/door: approx. 56 sec.